Are children more intolerant to exercise in the heat compared with adults? The view that children are more intolerant to exercise in the heat than adults is based on early studies of Drinkwater et al (1977) and Wagner et al (1972). In the first study, young and adult females were asked to walk until exhaustion at various ambient conditions: 28oC and 45% relative humidity (rh), 35oC and 65% rh and 48oC and 10% rh. Their findings showed that more women completed the exercise task (2 times of 50min) compared with girls. Their conclusion was that young girls were more intolerant to exercise in the heat than women. However, in this study as well as in that of Wagner et al (1972) exercise intensity was not strictly controlled so that girls exercised at higher relative intensity than women and this could explain their relative inability to complete the exercise bouts in the heat. Recent studies suggest that no difference exists between children and adults in exercise tolerance in the heat when exercise is performed at similar relative intensity. For instance, Rowland et al (2008) asked 12 year old boys and 32 years old men to exercise at 65% of maximal oxygen uptake in the heat (31oC). 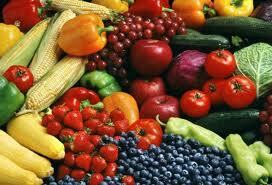 Increases in core temperature, heart rate and cardiac index were similar in both groups. Exercise duration was also similar in the two age groups. Recently, Bergeron and colleagues (2009) showed that physiological stain (core temperature and heart rate) did not differ between 12-13 years old and 16-17 years old boys doing prolonged exercise in the heat (33oC). Are children at increased risk for heat illness? The traditional view is that children are at an increased risk for heat illness (heat stroke and heat exhaustion) compared with adults. This is based mainly on two observations: 1) thermoregulatory mechanisms of heat dissipation are lower in children, and 2) incidence of heat stroke is higher in the pediatric population during periods of heat waves. With regard to the first point, recent evidence shows that thermoregulatory responses do not differ between young boys and girls and adults when exercising at the same relative intensity. Regarding the latter point, there are indeed reports of elevated risk for heat stroke in infants and small children (<4 years old) primarily due to parental negligence. In fact, there is very limited if any report in the literature of heat illness while children exercise in the heat. Recent scientific evidence shows that there are NO differences in exercise tolerance and physiological strain between children and adults when exercising at the same relative intensity in the heat. This challenges the traditional view of higher physiological stress and more intolerance to exercise in prepubertal boys and girls. 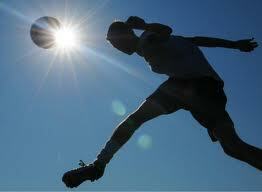 It seems that child athletes are not more susceptible to heat injuries than adults. -Bergeron et al. (2009). Repeated-bout exercise in the heat in young athletes: physiological strain and perceptual responses. Journal of Applied Physiology 106:476-485. -Drinkwater et al. (1977). Response of prepubertal girls and college women to work in the heat. Journal of Applied Physiology 43:1046-1053. -Rowland et al. (2008). Exercise tolerance and thermoregulatory responses during cycling in boys and men. Medicine & Science in Sports & Exercise 40:282-287. -Wagner et al. (1972). Heat tolerance and acclimatization to work in the heat in relation to age. Journal of Applied Physiology 33:616-622. Do talented boys become elite adults? In searching for future elite players, coaches are looking for young players who have the potential or talent and present the highest probability to become elite players in the future. 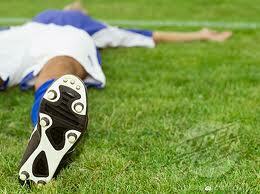 According to many studies in talents selection, coaches and other experts tend to focus on current performance. Indeed, it has been shown that players born early in the selection year are likely to be recognized as talented, transferred to higher level teams and consequently to receive higher quality coaching. The advantage of these young players, however, might be due to their advanced maturation level and not to their true potential. This kind of selection does not guarantee that these players will develop to elite performers since the current advantage will disappear at the age of 17-18 years. It seems that methods of selecting adolescent soccer players may not fulfill the intention to develop “talented future players”. Biological age is one of the key factors in talents selection. Children with similar chronological age might differ in their biological age. Thus, children with early maturation and higher biological than chronological age will be stronger, faster and with higher endurance than their teammates of similar chronological age who are late maturers. Players that mature later may not lag behind their peers in maturation in the future. Thus coaches should be encouraged to consider not only present but also future performance. To improve talent identification, sports science may contribute a lot. At first, current performance must be evaluated taking into consideration the biological age. One valid method of maturity assessment is the examination of the wrist-hand x-ray. By evaluating the bone age, sports scientists can calculate the skeletal and biological age. In addition, using appropriate models the height at 18 years of age can be estimated. Adult height prediction is an important part of talents selection since height is crucial for certain playing positions in modern football. A more simplistic approach for maturity level estimation is based on anthropometric measurements. Besides selection, talent development should be evaluated bearing in mind the maturity stage of the player. For instance, at the period when the abrupt change in body height occurs performance will be negatively affected and this should be kept in mind in assessing players’ potential. From this discussion, it appears that more attention should be given to individual biological maturation in the selection and development of young football players in order to avoid excluding players with delayed biological maturation who might have the potential to become elite players in the future. How we treat early maturers? It depends on his maturity stage. If let say he is 15 years old but his development has almost been completed we can apply more advanced training like strength training with external loads and anaerobic lactic acid training. One key aspect is his mental and “psychological” maturity. Early biological maturers may not present an advanced "psychological" maturity and thus may not be able to cope with more stress. To read a comment on this please visit British Medical Journal (Nassis G. Do talented boys become elite adults? 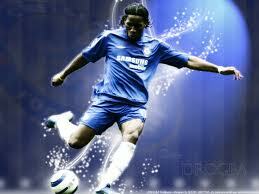 http://www.bmj.com/rapid-response/2011/11/02/do-talented-young-football-players-become-elite-adults). George P Nassis, BSc, Dipl, MSc, PhD is a Sports Scientist-Exercise Physiologist, Head of Panathinaikos F.C Performance Lab and Lecturer of Applied Sports Physiology at the University of Athens, Greece. Part of his post-graduate studies has been conducted at Loughborough University, UK. He has published 20 papers in peer-reviewed international journals on basic and applied research. 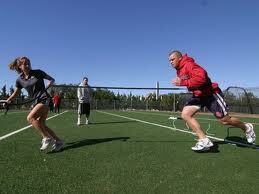 He is also working with elite athletes on physical conditioning. 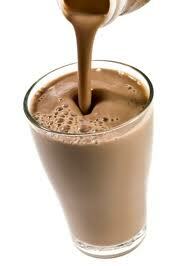 Low fat chocolate milk: is it an effective recovery drink for football players? Current recommendations to improve rate of muscle glycogen resynthesis after exercise suggest consuming either 1.2 gr carbohydrate per kilogram of body weight (kg BW) per hour (h) for 2-4 hours after exhaustive exercise or 0.8 gr carbohydrate/ Kg BW/h in combination with amino acids or protein. Although solid and liquid supplements are suggested, liquids are more easily consumed by athletes due to exercise-induced appetite suppression in the hour(s) following training. Recent research shows that low fat chocolate milk may be as effective as a carbohydrate-electrolyte beverage at speeding recovery after hard training. However, most research so far has been conducted on the cycle ergometer and this might limit the practical applications. To my knowledge, very limited research exists on football palyers. One interesting study was published few days ago in the Journal of Strength and Conditioning Research by Spaccarotella and Andzel from Kean University, USA. 13 young 19-20 years old football players completed their regular pre-season training in the morning and afternoon. Performance was assessed with the 20-m shuttle run test in the afternoon session. After the morning session, the players received either low fat chocolate milk or an equivalent volume of carbohydrate-electrolyte beverage. Table. Composition of the beverages used (in 100ml). 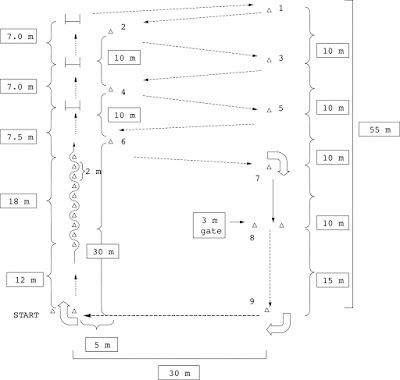 Time to fatigue in the 20-m shuttle run test did not differ between conditions. Low fat chocolate milk might be as effective as a carbohydrate-electrolyte solution at speeding recovery after a training session. Although this is an interesting area of research with obvious practical applications, readers should keep in mind that training load was not controlled in the morning session in the above mentioned study. Besides this, I think that the findings of Spaccarotella and Andzel’s study add to current knowledge. Future research should examine the effect of this recovery drink under more controlled conditions. Whole-body vibration (WBV) intervention is a common practice in training and before game in some clubs as a means to improve anaerobic performance. What is the evidence behind WBV use? Does this intervention improve performance? In a recent study, Ronnestad and Ellefsen (2011) had their soccer players perform either 30sec half-squat with WBV at 30 Hz or half squat without WBV 1min before a 40-m run. Their results showed that performance was significantly improved by almost 1% after WBV. Interestingly, no change in performance was observed when WBV frequency was 50Hz. 1. Sprint performance might improve when combining half squat with WBV for 30sec. 2. Optimal frequency for this intervention seems to be 30Hz. How long does this beneficial effect of WBV last? Ronnestad and Ellefsen (2011) had their soccer players sprint 1 min after the intervention so we do not know what would happen if the sprint was performed after 5, 10 or 20 min which is a more realistic scenario in football. What is the ideal combination of WBV frequency and duration? This was the research question set by Da Silva-Grigoletto and colleagues (2011) in a group of health but non well-trained volunteers. In their study, individuals performed half squat with WBV frequency at 30 Hz. Duration varied from 30 to 90 sec. Also number of sets was 3, 6 or 9. 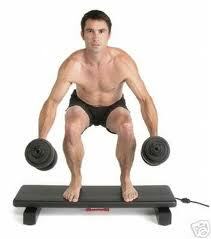 WBV with half squat were performed before countermovement and squat jump and power output test at half squat. WBV for 60 sec produced the best results. Number of sets affected subsequent performance. Performing six 60-sec sets of WBV resulted in greater improvement in power output in subsequent testing. It is important to keep in mind that these results were in non well-trained athletes. Thus, we do not know if they directly apply to well-trained football players. Carnitine is a molecule involved in fatty acid translocation in the mitochondria (Figure 2 below). Theoretically, increased carnitine levels within the muscle would increase fatty acid metabolism thus sparing muscle glycogen. 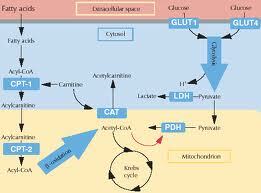 Glycogen sparing will improve endurance performance. However, research over the past 30 year was unsuccessful in elevating muscle carnitine levels with oral carnitine ingestion. Few months ago a research group from the University of Nottingham Medical School, UK, showed elevated muscle carnitine levels after chronic carnitine ingestion in healthy subjects (Wall et al., 2011). Subjects were divided into two groups: a) the carnitine group, ingested 80g of carbohydrate (CHO) containing 2 gr of L-carnitine tartrate for 5,5 months, and b) the control group that received only CHO for the same period. Supplements were ingested at breakfast and 4 hours later. Physiological measurements and performance test took place before and at the end of the supplementation period. 35% improvement in the performance test in the carnitine group (Performance was defined as total work output in 30-min cycling in the laboratory). Although this is a laboratory study, the findings suggest that chronic co-ingestion of L-carnitine and carbohydrate may improve endurance performance. This is the first study to show increased muscle carnitine levels with oral supplementation. To my opinion, these findings have important implications for athletic performance. Wall et al (2011). Chronic oral ingestion of L-carnitine and carbohydrate increases muscle carnitine content and alters muscle fuel metabolism during exercise in humans. Journal of Physiology 589: 963-973. Today, I would like to comment more on a point I made few weeks ago in a post on cryotherapy after training (http://georgenassis.blogspot.com/2011/07/some-thoughts-on-use-of-water-immersion.html). Please let me remind you that cryotherapy is used by many athletes as a means to minimize muscle damage and muscle soreness and thus speed up recovery after hard training and game. In my latest post I set the hypothesis that cryotherapy-induced reduction in muscle damage and inflammation might suppress training adaptations. One of the blog reader emailed me the paper by Yamane et al (1996) published in European Journal of Applied Physiology. In their study, researchers had their subjects cool one leg and arm with water immersion after training whereas the other limb was the control (no cooling). One group performed arm strength training and the other endurance cycling training. Training was performed 3-4 times per week for 4-6 weeks. Did cryotherapy improve performance more that the control? No. 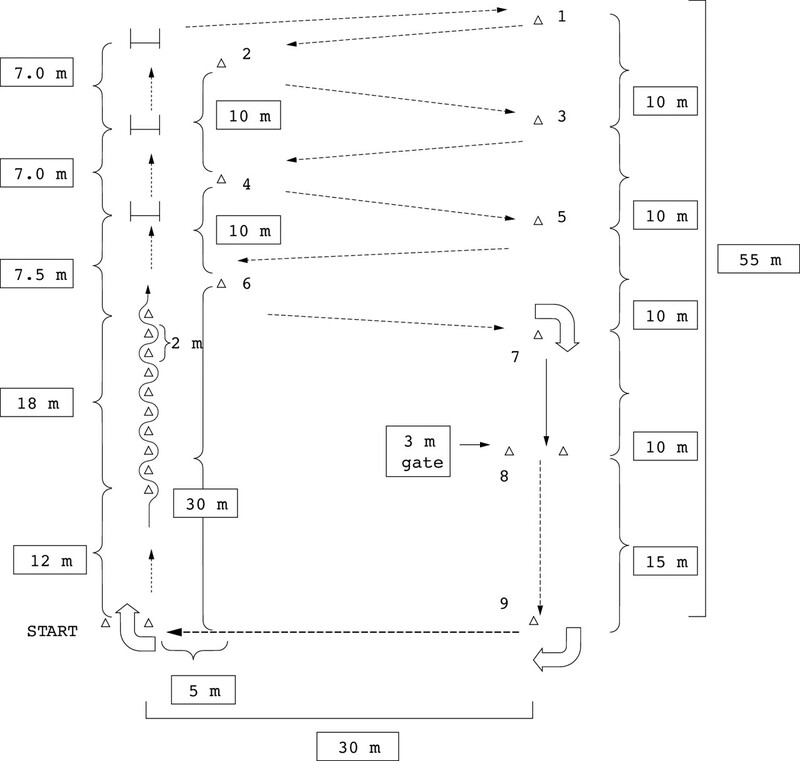 In this study, control and cooled legs improved endurance performance time at similar degree. However, maximal oxygen uptake was improved only in the control leg. In addition, maximal arm strength was improved at a significantly greater magnitude in the control than in the cooled arms group. I am not saying that cryotherapy is not good for recovery. There are a lot of data in the literature suggesting that cryotherapy might speed up, at least, the perception of effort by athletes. If you feel good you perform well in the next session. If you perform well you gain more adaptations. However, from this study it appears that the effect of cryotherapy on LONG-TERM training-induced adaptations requires further investigation. Yamane et al. (2006). Post-exercise leg and forearm flexor muscle cooling in humans attenuates endurance and resistance training effects on muscle performance and on circulatory adaptations. Eur J Appl Physiol 96: 572-580.